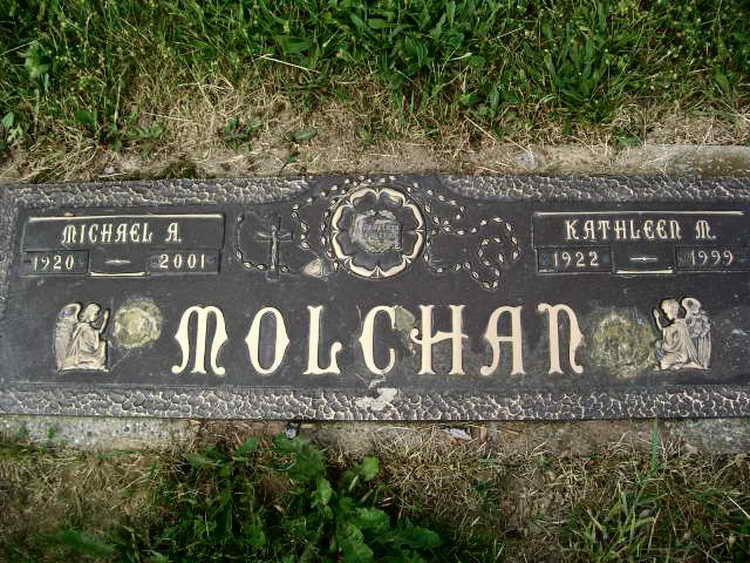 Grave markers for Michael A. Molchan in Plot AS/B 141-1 in Columbiana County Memorial Park, Calcutta (Columbiana county), Ohio. 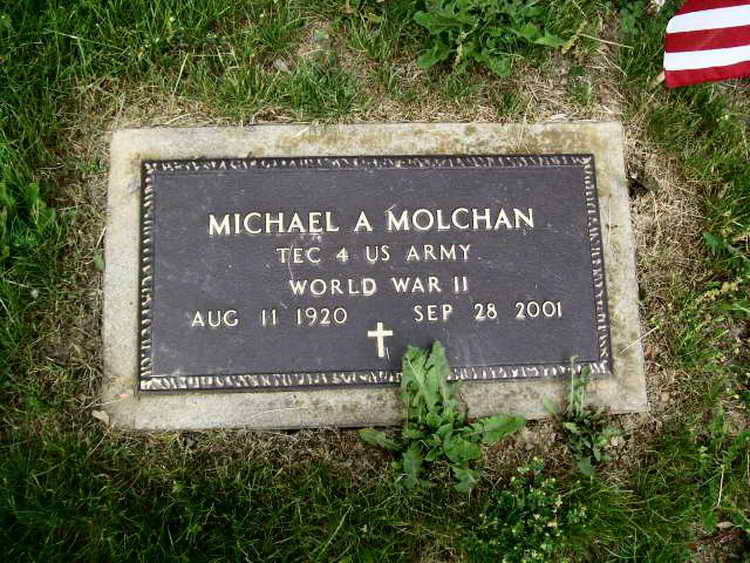 T5 Molchan was a member of Company C, 508th. He re-enlisted in November 1945 and was presumably a late arrival during the period when the 508h served as Honor Guard at SHAEF HQ, Frankfurt, Germany.